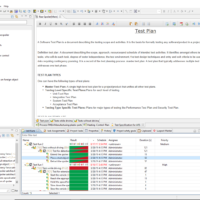 Create test plans according to your own specifications. Distribute responsibilities and milestones, keeping an eye on your defined goals. 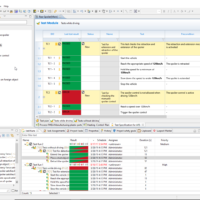 SOX supports you with a supplied template, which helps you to keep all relevant information for a detailed test plan. Organize your test cases into logical groups. Structure your test cases by arranging them in a multi-level hierarchy. 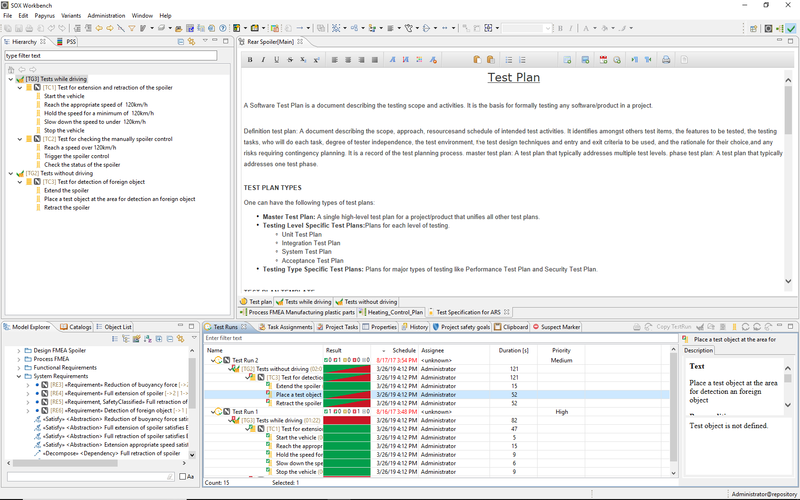 Test groups, test suites, and test cases can be moved by simple drag & drop. 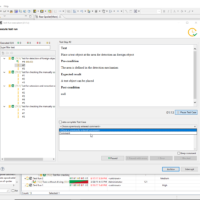 In addition, you have the opportunity through the reusable objects in SOX to produce a variety of recurring test cases in a short time. Record all your test results in test runs. 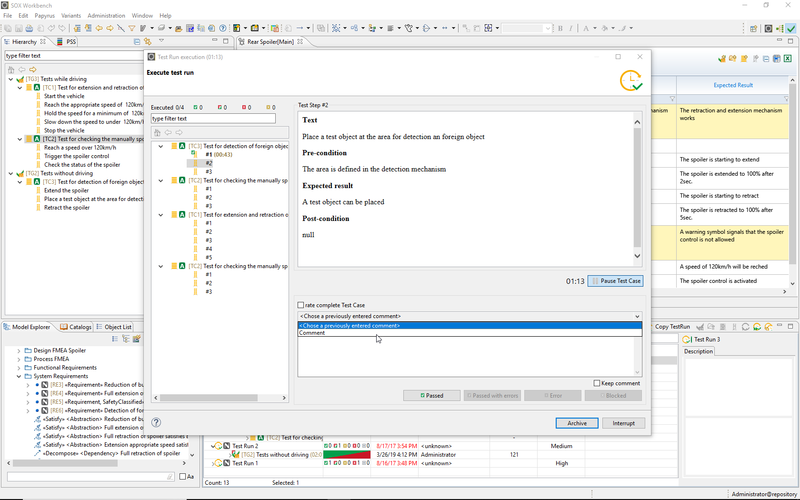 This allows you to perform logically structured test cases that you have combined in test suites and test groups in one test run. 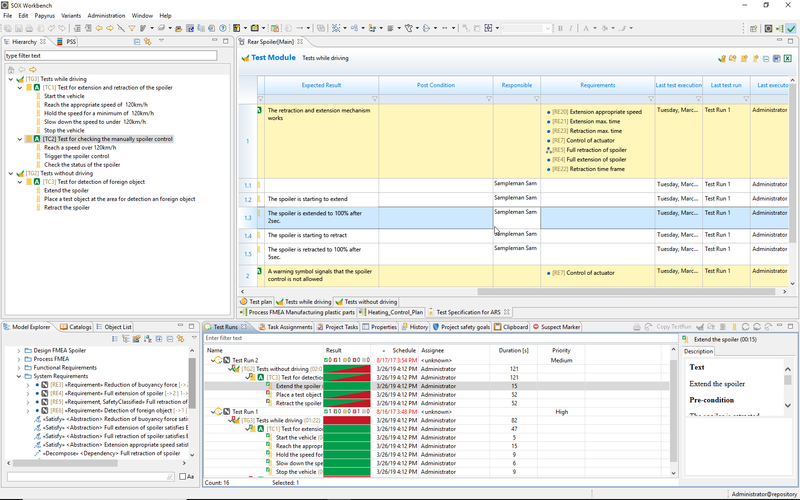 In addition, test cases can be added to test runs as required using drag & drop. When running test runs, you will be guided through each test step and provided with useful functions such as rating entire test cases or reusing comments. 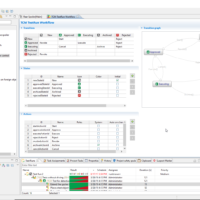 Due to the SOX interface, test cases can simply be linked to requirements using drag & drop. 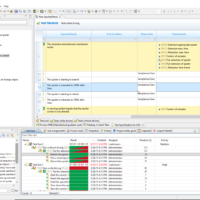 The tabular structure of the test editor gives you all the necessary information about the test results of the linked requirements at a glance. 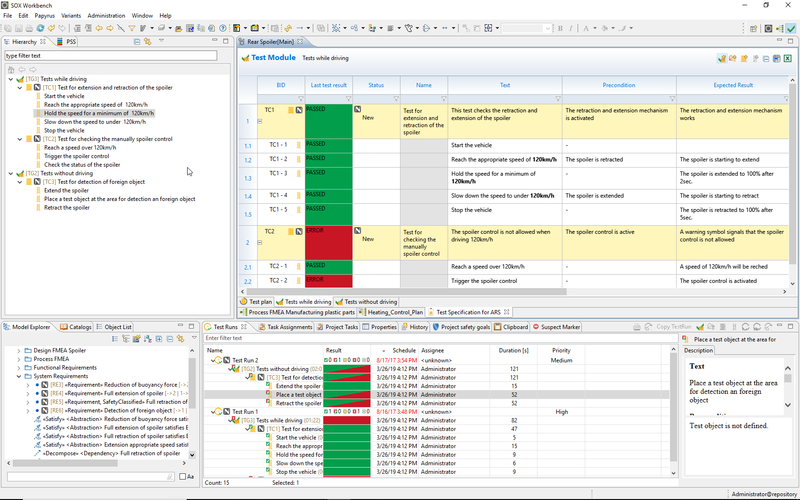 This gives you a complete overview of the test coverage of all your requirements in a short time. 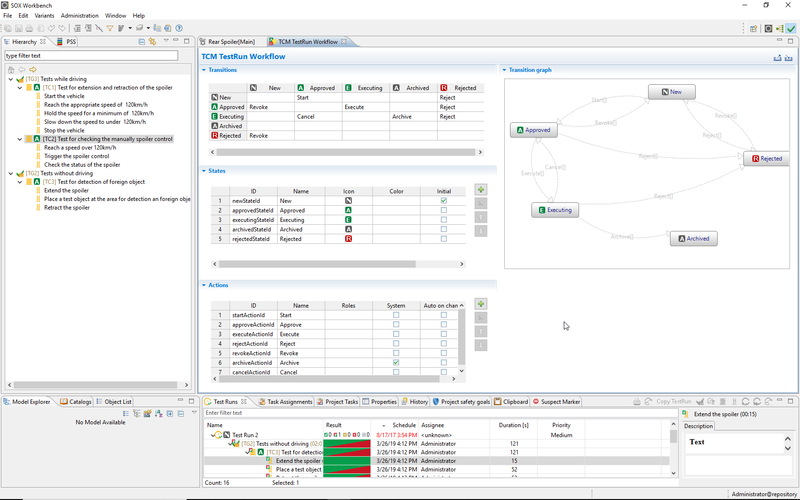 Define custom workflows using a graphical workflow editor that best suit your business. Create your own status and status transitions.